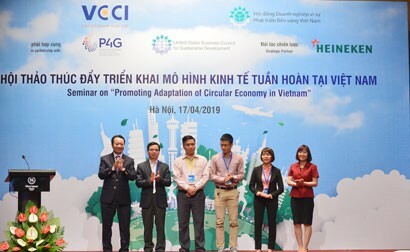 As many as 27 exports generated at least US$1 billion each for Vietnam in the first nine months of 2018, three more than reached that benchmark in the same period of 2017: chemicals, electrical wires and cables, and sports equipment. 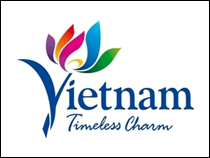 Vietnam’s trade value reached US$352.61 billion in the year to September 30, up 13.7 per cent or up US$42.44 billion from a year ago. Of the sum, the export value was US$178.9 billion in the nine-month period, up 15.4 per cent year on year. Trade surplus was US$5.4 billion in the period, while it was just US$2.6 billion in the whole year of 2017. 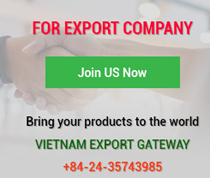 According to analysts, if Vietnam maintains this current export growth, it will realise the export target and rein in trade deficit to total exports at three per cent or lower in 2018 as expected. Among 27 exports bringing home at least US$1 billion in nine months, 19 came from the processing industry, with five exceeding US$10 billion: telephones and parts (US$36.1 billion, up 14.6 per cent); textiles and garments (US$22.6 billion, up 17.1 per cent); electronics, computers and parts (US$21.58 billion); machinery, equipment and tools; footwear; wood products; and vehicles and parts. Chemical was a new item on the billion-dollar list, as it impressively grew 40.5 per cent. Electric wire and cable shipments also expanded 35.4 per cent. Remarkably, plastic materials grew 86 per cent and were expected to join the billion-dollar club in the near future. The agricultural sector had six items on the billion-dollar list, with fruit and vegetable shipments bringing home over US$3 billion. This achievement is attributed to coming from joint efforts of farmers, authorities, scientists and enterprises, from cultivation and purchasing to export. China was the biggest importer of Vietnamese fruits and vegetables, followed the United States and partners that Vietnam signed FTAs with. With an average export value of US$340 million a month, fruits and vegetables are expected to fetch US$4 billion for Vietnam in 2018, given no bad weather and market volatility. 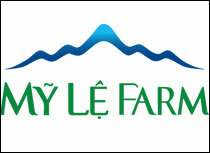 Rice also was a highlight on the Vietnamese export picture as it outstripped the competitor Thailand. This achievement was remarkable because other exporters witnessed shrinking shipments. Going against headwinds, Vietnam’s shipments rose by 7.6 per cent in volume and 22.1 per cent in value in the nine-month period. The impressive growth was attributed to demand growth, but more sustainably from the shift to growing premium varieties, including jasmine rice, from low-quality ones. 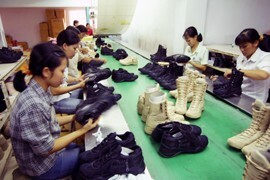 High-quality categories sometimes accounted for more than 30 per cent of Vietnam’s shipments. In the light of Decree 107/2018/ND-CP on rice export business support, Vietnam is expected to see rising rice export in the three remaining months of the year. Of the trade value of US$352 billion, foreign direct investment (FDI) enterprises earned US$230.43 billion, up 13.8 per cent (US$28.01 billion) year on year and accounting for 70.6 per cent of the country’s total value. Domestic firms made only US$122.18 billion, up 13.4 per cent (US$14.43 billion) over the same period of 2017. 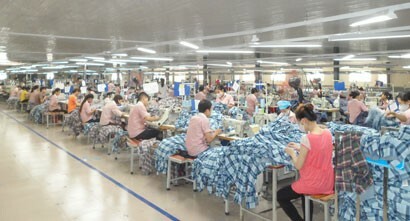 Notably, Vietnam’s merchandise shipments to China, Korea and India climbed most among all markets, growing over 20 per cent from a year earlier. Specifically, commodities exported to Korea were valued at US$13.45 billion from January to September, up 26.1 per cent on year. Shipments to China were worth US$28.81 billion, up 29.9 per cent. Most impressively, exports to India reached US$5.18 billion, up 88.6 per cent. 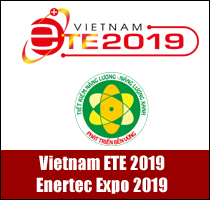 In addition, Vietnam's exports to the US, the EU and ASEAN climbed 13.2 per cent, 10.5 per cent and 14.5 per cent, respectively. 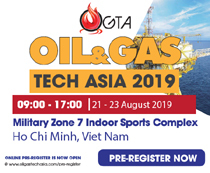 Shipments to the US, the EU and ASEAN were worth US$35.02 billion (US$4.08 billion more than a year ago), US$31.2 billion (US$2.96 billion) and US$18.3 billion (US$2.3 billion), respectively.